Gizmochina has teamed up with Gearbest to gift one of their fans with a brand new Android smartphone! 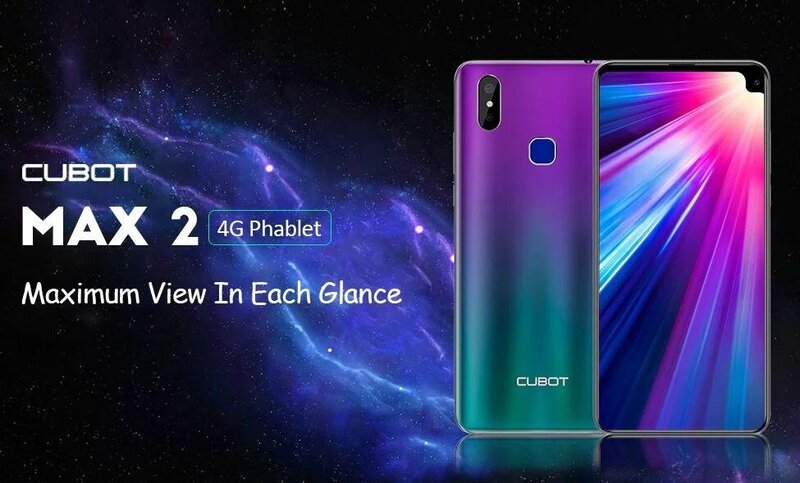 To enter in their latest CUBOT MAX 2 Smartphone Giveaway grab your free entries by following few simple steps listed down below! CUBOT MAX 2 is powered by MT6762 processor with MG power VG GE 8320 GPU. It comes with 6.8-inch display having the resolution of 1352×640 pixels. The handset has 12MP+2MP dual rear camera with f/1.8 aperture which can take beautiful photos. There is an 8MP front-facing camera, and you can use it to take vlogs. The fingerprint sensor is placed at the rear panel that is easier for you to unlock the phone. The CUBOT MAX 2 ships with dual Nano-SIM card slot and a micro SD expandable card slot. It is fueled by 5000mAh built-in battery which is enough for daily use.